Welcome to the home we're calling "PS Envy". 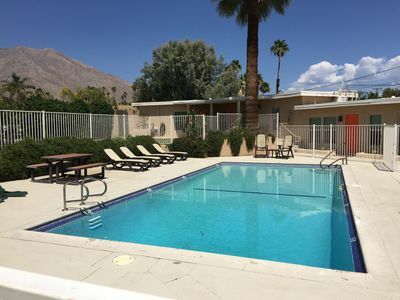 It's a relaxing, comfortable and welcoming home; perfect for the ideal Palm Springs vacation getaway. 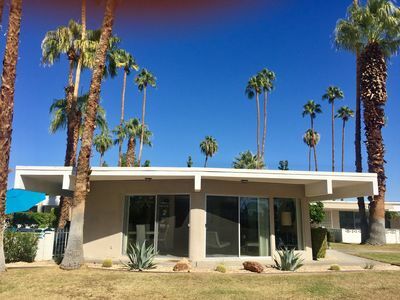 Built in 1961, this is an original Alexander home featuring his iconic architectural aesthetic Palm Springs is known for. 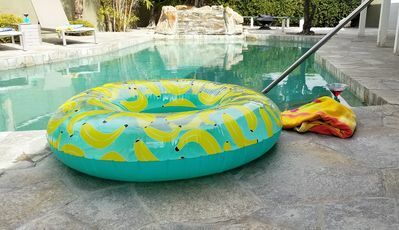 Any guest will appreciate the comforts and amenities the home offers from its sparkling pool (pool heat is an optional/additional charge. 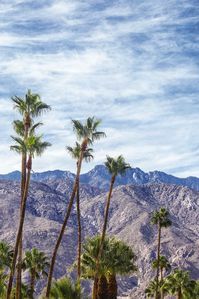 See house rules for additional information) to glorious views. 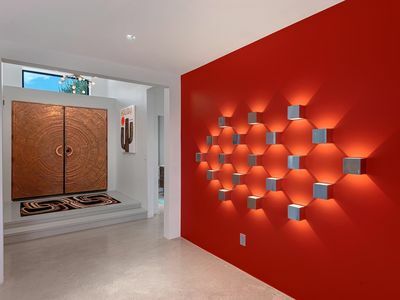 Mid-century enthusiasts will delight in the true-to-original décor. You’ll find the home open and warm with just enough whimsy to make you smile each time you come home. Every detail has been considered to suit the home's guests: it has been well-appointed and equipped to suit every visitor. 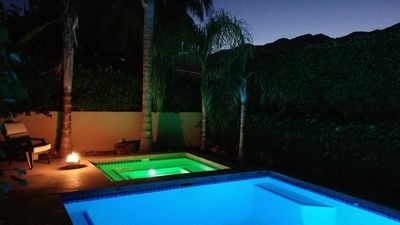 Featuring 4 bedrooms, 3 baths, shimmering saltwater pool and hot tub, natural gas grill, outdoor dining and plenty of outdoor lounge seating, huge fire pit, gaming court (ping pong, bocce)… every guest will feel welcome! Hi-speed internet is at top speed so it can easily support all your devices. An excellent cable package enhances your retreat experience. There is a great mix of sleeping arrangements. The master bedroom features a king bed and private bathroom (shower/tub combo). Guest room 1 features a king bed and guest room 2 features a queen bed. Separate from the main home, there is a casita featuring a king bed, private full bathroom, seating area and breakfast nook. The casita also has its own private outdoor patio. 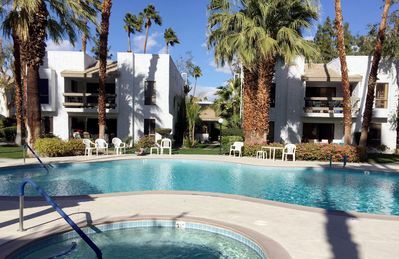 It’s a perfect retreat for grandparents, a nanny or a guest wanting to enjoy a bit more privacy while traveling with their favorite friends. If the kids are old enough to sleep away from the home, this is an ideal teenager’s wing! There are TV's in each bedroom. 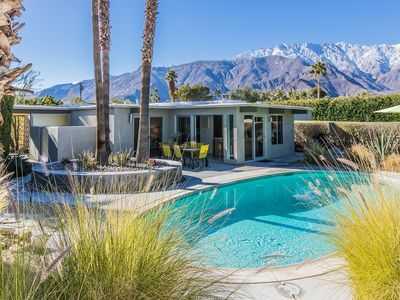 The lot makes for spectacular outdoor living. Off the dining room, there is the patio with outdoor dining and seating for 8-10 guests. Perfectly situated just out the kitchen and around the corner from the dining table is a natural gas grill. 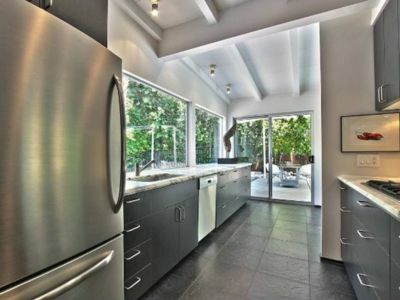 No propane tanks to swap at this home and no harsh grill smoke wafting over your dinner guests. 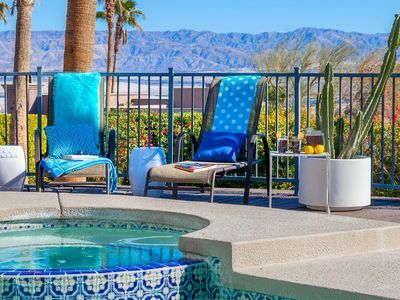 Chaises and umbrellas complete the poolside lounging experience. Recline on the full-sized lounge bed for an afternoon nap or star gazing at night. More chaise lounges ensure plenty of the group can capitalize on the sun and leave with envy-educing tans. 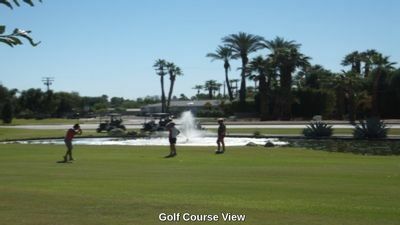 On the other side of the yard, you`ll enjoy an outdoor gaming court. Yes, there is a ping pong table, bocce court, horse shoes, corn hole; daytime fun at it`s best! 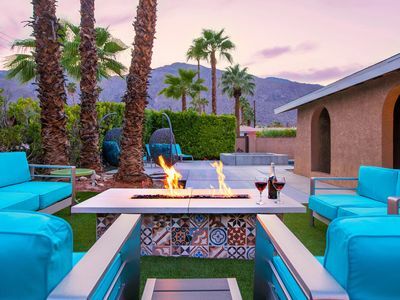 By night, a huge fire pit for evening cocktails under the stars. Hilltop Haven - Read The Reviews! 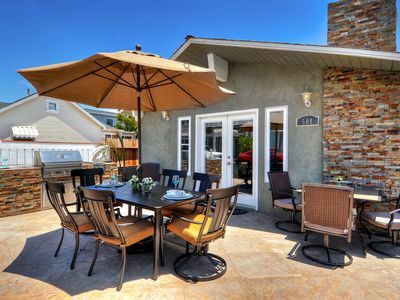 LARGE PATIO & BBQ in NEWPORT BEACH CENTRAL LOCATION BEST Single Family Home! 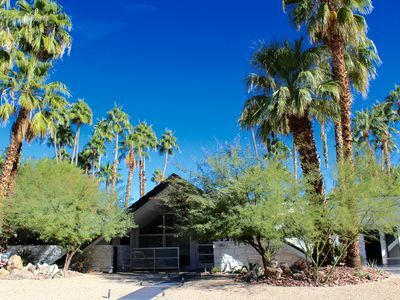 Come and unwind in this tranquil home for your next vacation! Unique dining spots, nightlife and entertainment! 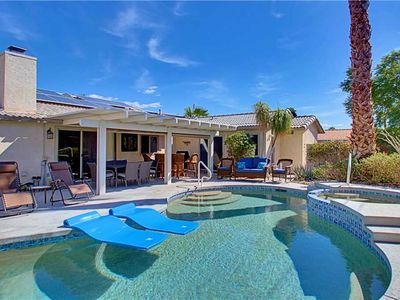 Sunny Palms at Warm Sands - New Listing! 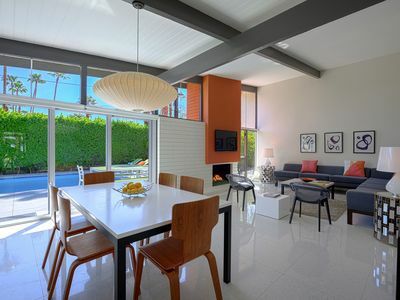 Panoramic Views, Mid-Century Modern newly remodeled Condo. 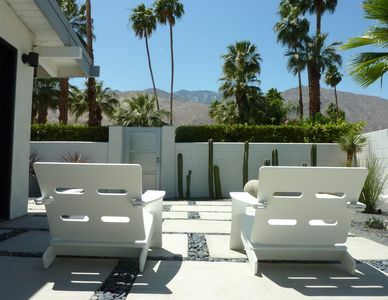 Come Play At This Vacation Rental in Palm Springs!